As many artists found out during his lifetime, when Picasso's around it's hard to get noticed. The £25m sale of Picasso's 1932 work La Lecture at Sotheby's Impressionist and Modern sale on Tuesday evening captured the attention of the world, but a number of items would have taken the limelight at any other auction. Marino Marini's bronze L'Idea del cavaliere achieved £4.1m on the same night that Picasso stole the show, while an early landscape of the Seine by Claude Monet realised £3.4m. Painted in 1872 during the first throes of Impressionism, it was Monet's first major composition of the Argenteuil area. Another standout piece was Lyonel Feininger's 1912 work Side-Wheel Steamer at the Landing, which made £3.1m, more than two-and-a-half times its estimate. The US-born artist displays both cubist and expressionist tendencies in this work. Rene Magritte's 1955 Le Maitre d'Ecole, which depicts a moon above a man in a bowler hat, realised £2.5m, significantly above its high end estimate of £1.2m. It was an auction record for a paper work by the artist. 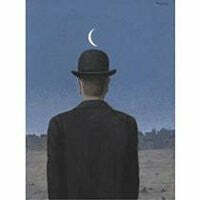 Another piece by Magritte, the 1960 La Joconde, made £2.44m. A still life by Giorgio Morandi, Natura Morta, made £1.38m. Picasso also had a number of other pieces up for grabs, including the less celebrated Compotier et Verres from 1943, which realised £802,850. The 42-lot auction made £68.8m, within its pre-sale estimate of £55.6m to £79.3m.